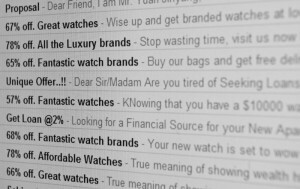 Spam is the term used to define all of the unwanted e-mail that takes up space in a user’s e-mail inbox. 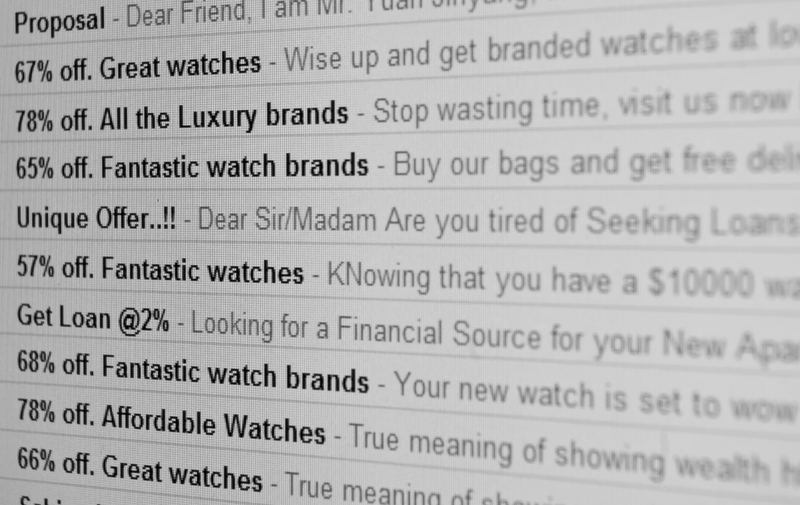 This type of junk e-mail is sent to millions of users and is usually designed to sell things to as many people as possible. Most users will delete these e-mails and may even install a type of software known as a spam filter which can trap suspect e-mails before they get near the inbox. These e-mails can be automatically moved to a safe area where they can be examined later or even set up for automatic deletion. Check this link to the BBC for an interesting article on the Anatomy of a Spam Email.